Sneak that peek and see all Michigan has to offer. Here’s the best areas in our state. Browse through our travel guide and see what catches your interest! Join the ‘Circle’ and see what all the talk is about! 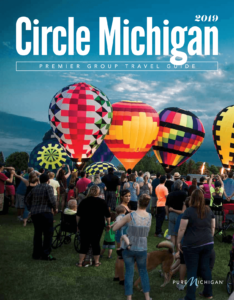 If you would like to receive our Circle Michigan Magazine in hard copy, please fill in the required fields below and we will be more than happy to mail you one!